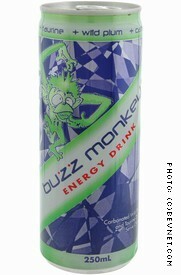 Buzz Monkey is an interesting new energy drink that features a psychedelic-style green monkey and a "wild plum" flavor. Let's start with the can. It's a somewhat messy design that, when combined with the image of the green monkey, results in an appearance that doesn't jump out at you. We're honestly not sure what type of person this imagery will resonate with, but we are positive that it's not a large part of the mainstream. As for the flavor, the wild plum is subtle, but noticeable, especially as you get about half way through the can. 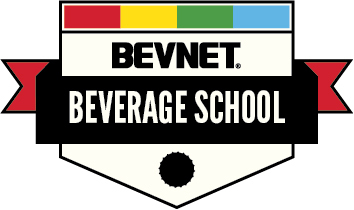 However, we don't think that it offers enough to differentiate it from the standard medicinal energy drink formula found in many products in the category. Furthermore, it's definitely not a flavor that will make consumers pull it off the shelf just because they see wild plum on the label. So, where does that leave Buzz Monkey? 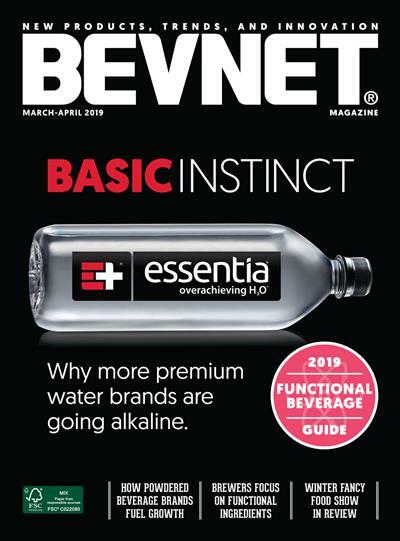 In our opinion, it's a name that might inspire some novelty purchases, but beyond that, this product needs a good deal of cleanup and refinement before it will penetrate the mainstream.